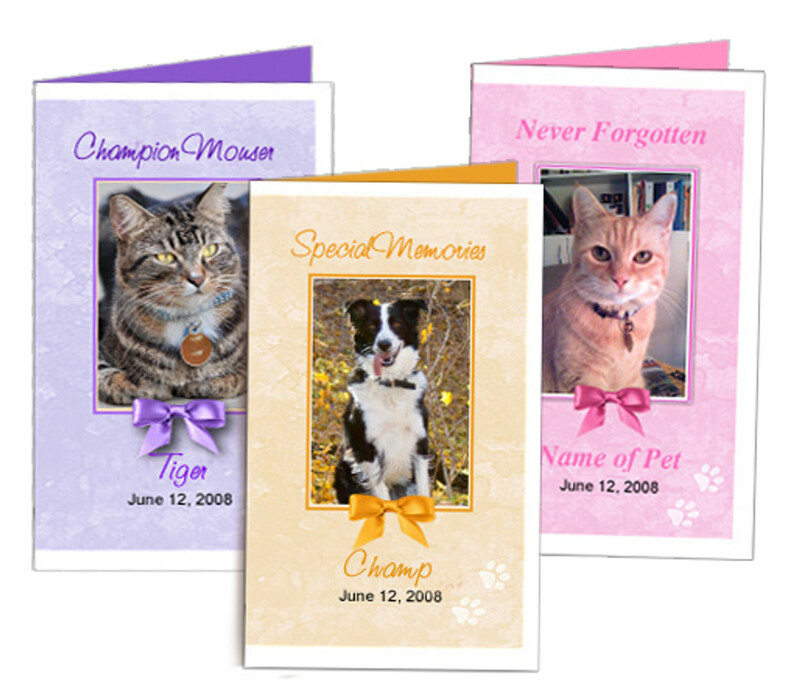 These adorable pet memorial center folded cards are convenient in size and allow for a little more text or photo room. Approximate finished folded size is 2.49" x 4.24" and comes formatted with 4 cards per sheet of letter size paper. A cute and cost effective way to pay tribute to your faithful companion.